Even Prime Minister Viorica Dăncilă will attend the rally on Saturday (9 June), called under the slogan ”We want prosperity, not security!”. On the surface, the ruling Social Democratic Party (PSD)’s aim is to denounce the alleged abuses of the judiciary and the secret services, but even some of the PSD regional leaders say this is just a manifestation to support the party’s autocrat president Liviu Dragnea, besieged by legal problems. 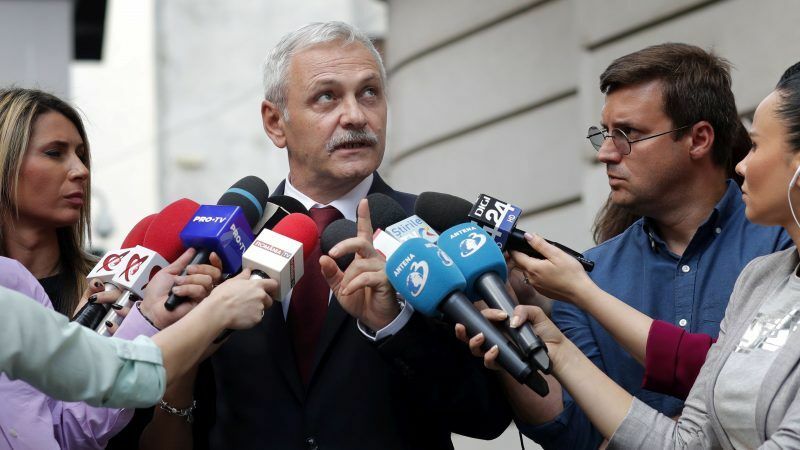 Dragnea – who got a two-year suspended sentence for electoral fraud and expects on Friday (June 8) a verdict in an abuse of office trial – denies the protest is an exclusive PSD affair and has invited all people who had suffered from abuses of the “parallel state” to participate. But not many people are convinced. “A party that dismisses two of its own governments and organises a protest meeting when it is in government – this hasn’t been seen anywhere in the world. It goes above Urmuz and Eugene Ionesco. Our country branding is the Absurd, with Liviu Dragnea as the maestro”, well-known novelist Mircea Cărtărescu wrote in a Facebook post. PSD has been planning a huge meeting for months. It started as an idea to support the “traditional family”, then was changed to support Prime Minister Dăncilă, whose resignation was demanded multiple times by the country’s president, Klaus Iohannis, only to be changed again. 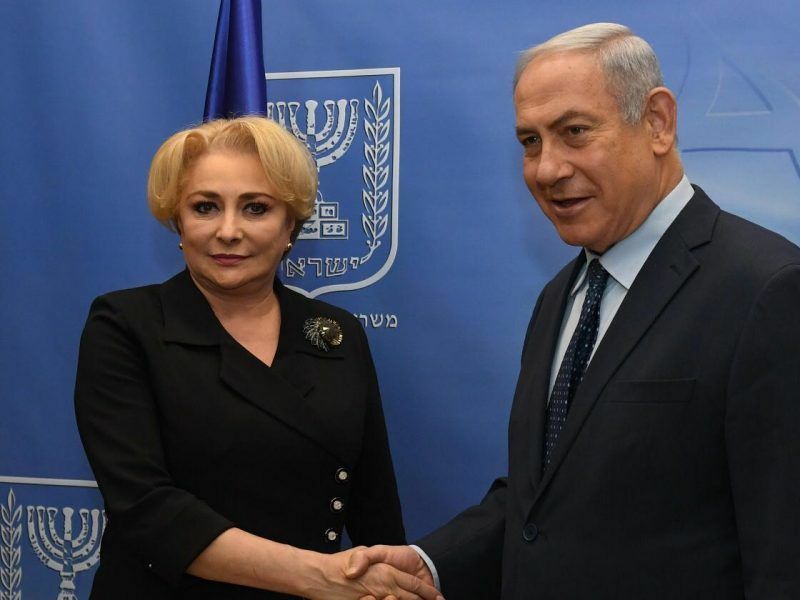 Romanian President Klaus Iohannis called on Prime Minister Viorica Dancila to resign on Friday (27 April) after she endorsed a secret deal to move the country’s embassy in Israel to Jerusalem and refused to attend a meeting to resolve other ongoing disputes. The expectations of a massive turnout were also moderated, from more than a million people at first to tens of thousands. Despite this decrease, there are many reports of people who say they are coerced to participate by either their bosses at work or public authorities controlled by PSD or their junior partners from ALDE. On a newly-created website www.mitingcujapca.ro (which can be loosely translated as ’hustled meeting’), there were more than 330 reports on Friday morning of workers forced to attend the protest or coerced bus rentals. Even some professors have reportedly told students to join the protest in Bucharest. Dragnea’s response was that people were encouraged to post that they are being pressured by PSD to attend and that the website was created by “the parallel state”. The www.mitingcujapca.ro website was created by civic organisation Geeks for Democracy. However, Vladimir Petrut, a PSD member and the mayor of Cavnic, a former mining town in northwestern Romania, told Mediafax news agency that local and county councillors were told they will lose their mandate unless they attend. Cavnic is some 550 km away from Bucharest and, in a country which has a notoriously poor road infrastructure, travelling by bus to the capital city will take more than 10 hours. And many people in different parts of the country will have the same problem. A few weeks ago, people in Iași – one of the largest cities in Romania, some 380 km northeast of Bucharest – started a motorcade to the capital city to protest the lack of a highway connecting the eastern area with the rest of the country. But the Bucharest municipality, led by mayor Gabriela Firea, a PSD vice-president, did not authorise the protest at Victoriei Square, in front of the government headquarters. The Saturday meeting has been authorised, however. Moreover, the Parliament voted to exceptionally allow car parking in the yard of the Parliament Palace, a huge building in downtown Bucharest, on Saturday. “Why shouldn’t (the parking) be used? Maybe some PSD members of parliament want to invite supporters or colleagues to visit the Parliament Palace,” said Liviu Dragnea. The PSD leader has also said that no one is forced to attend the meeting and that there might be undercover individuals among the crowd to tarnish the meeting’s image. None of this should be a surprise for the leader who has attacked the “parallel state” in all those 18 months since his party has governed Romania. Dragnea himself cannot be prime minister because of the prison conviction, but he has a tight control over the government and last year he sacked two prime ministers who, he felt, were not responding to his commands.